"The first records say that a church here was 're-built' soon after 1066, when King William gave land to the de Mohun family. Little remains of the Norman church." The present church was rebuilt in the mid to late 15th century. 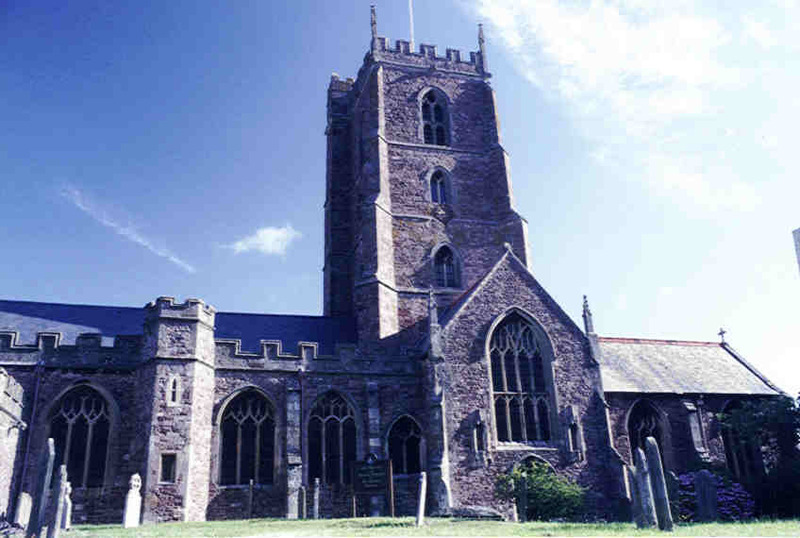 Within the church are buried Sir Hugh (d. 24 Mar 1428) and Lady Catharine Luttrell (the first Luttrells to occupy Dunster Castle) and Sir Hugh's mother, Lady Elizabeth Luttrell (d. 1395).